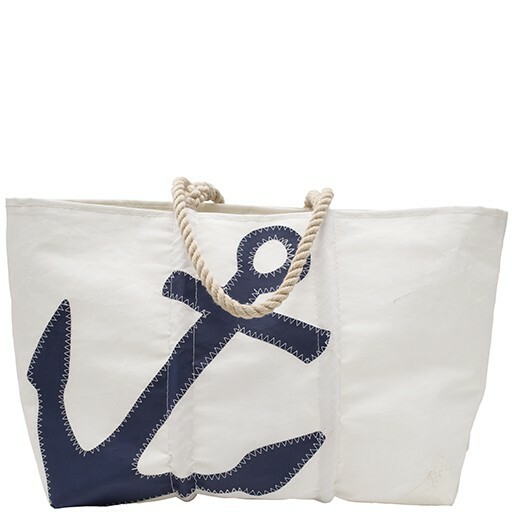 This tote by Sea Bags is handmade on the waterfront in Portland, Maine from recycled sailboat sails. Its sturdy rope handles are hand-spliced using traditional nautical techniques. Durable and water resistant, this bag is sure to last you for a lifetime of adventures. The medium size is perfect for a solo beach trip, school, or everyday use! Can be carried in-hand or over the shoulder. 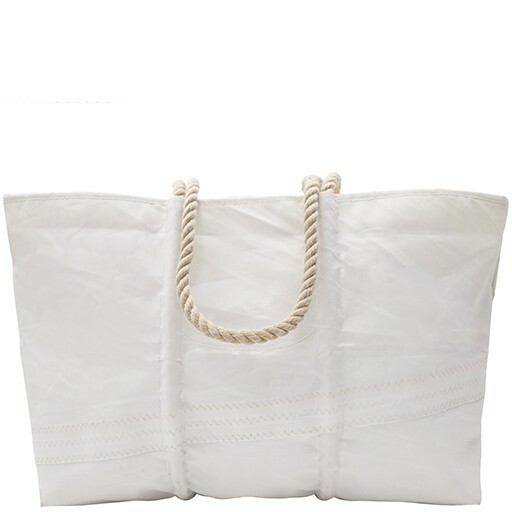 Please note that each tote is individually made from actual sails, so stitching and placement of design will vary. Machine washable. Made in Maine.